Pizza. Isn’t it the best food to eat while you’re watching football? It sure is. Who am I kidding? 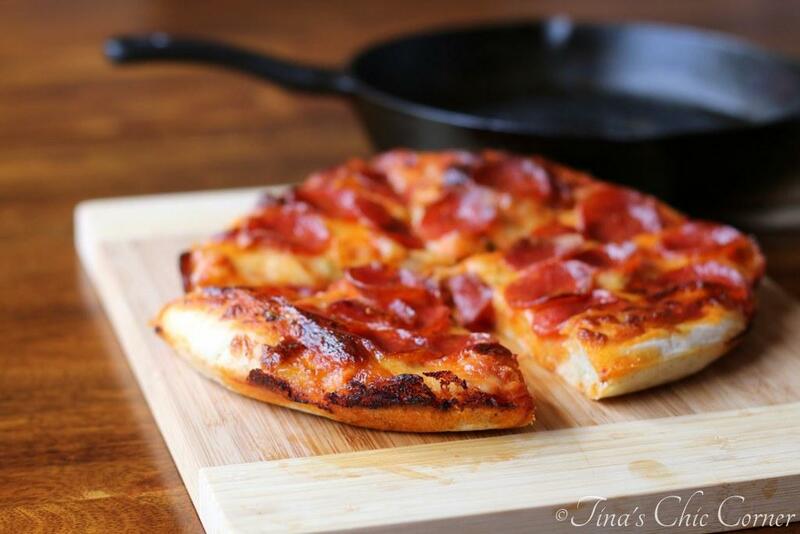 Pizza is perfect 365 days a year, no matter the occasion. Football is just a good excuse. It’s sort of a tradition for my husband and I to eat pizza while we watch the Patriots play, even if it’s a frozen pizza from the store. Yes, sometimes I’m lazy. 😉 The last time we made pizza, we went all out with pepperoni, which is my husband’s favorite. This time we’re going vegetarian, which is more my thing. Can you tell that the pizza crust is light golden brown? That’s because we made a whole wheat crust (and by “we” I mean my husband). We debated how much of the recipe should actually be made with whole wheat flour. We found some recipes that used 100% whole wheat flour, which seemed a little too earthy crunchy for our taste buds. Since we loved the basic pizza dough recipe from the 500 Pizzas & Flatbreads cookbook, we decided to try the whole wheat pizza dough recipe from the same cookbook but with a few Dave’s Bread Corner modifications so it’s easier to make. This crust has a bit of texture from the whole wheat flour, but the bread flour and all-purpose flour keep it from taking over the world. 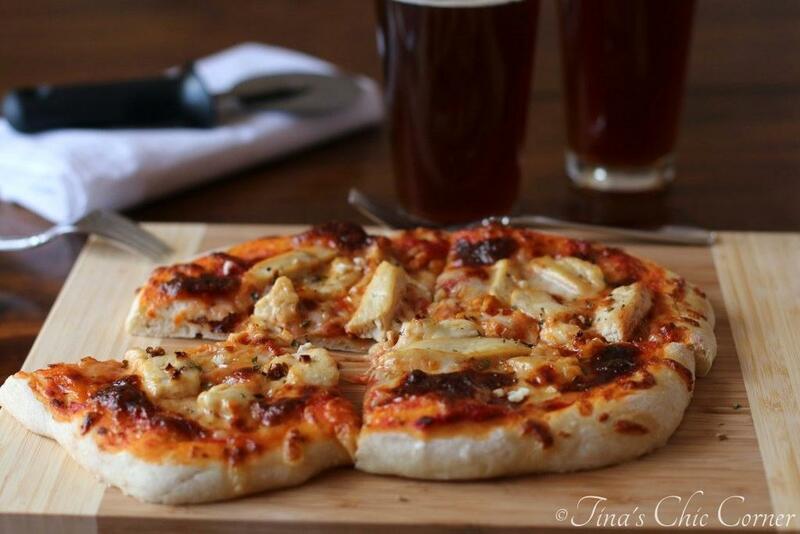 We have to admit that we still prefer the basic pizza dough recipe but this whole wheat crust is an awesome one if you’re looking for something with more whole grain in it. Top each pizza with the shredded mozzarella cheese and then the vegetables. Cook them in the preheated oven for about 18 minutes or until the cheese is fully melted and has a few darker looking spots on it. Here are some other pizza ideas. Good one, Tina! 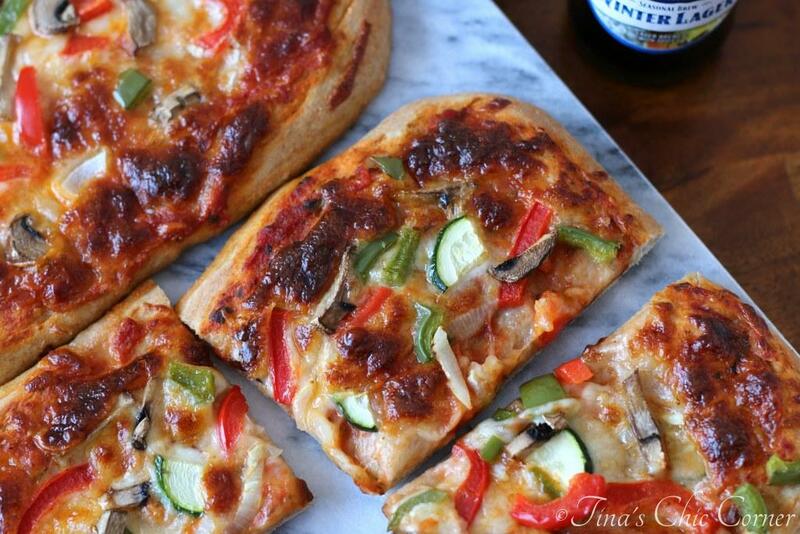 Whole wheat dough and veggies sure make this healthy eat! Me too… was nervous! I’m gonna be a wreck for the superbowl! If I could jump into the screen and grab that pizza, I would have. LOVE it! !